A finishing touch on the edges of your bulletin boards, windows, doorways, chalkboards and dry erase boards. 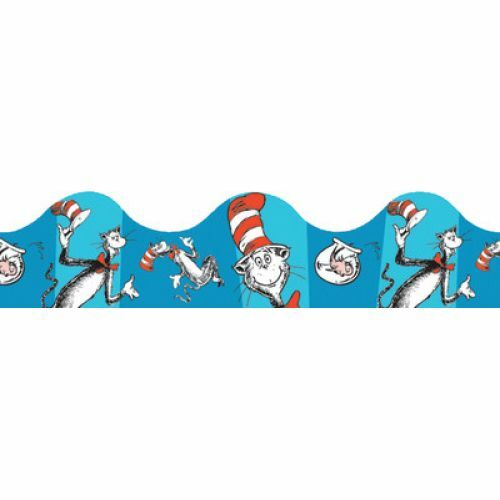 You can't go wrong with this classic Dr. Seuss design featuring his famous Cat in the Hat™ on this blue bulletin board border. The vibrant colors and designs will add creativity to all of your displays. 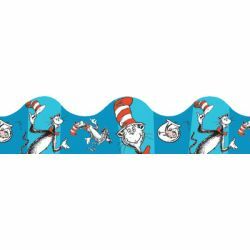 Contains 12 strips each 37" long, scalloped regular width 2.25".